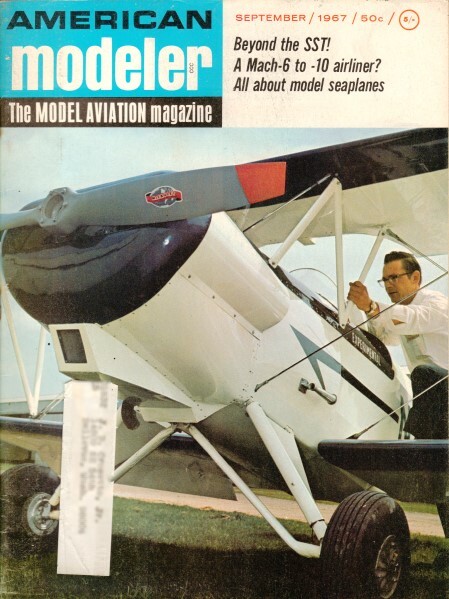 I'm not sure when the sport of flying free-flight gliders using magnetic steering took on the official classification of F1E, "Gliders with Automatic Steering," but this article from the September 1967 edition of American Modeler makes no mention of it. In FAI nomenclature, the "F" stands for "flying," the "1" stands for "free-flight," and the "E" is the specific class. Videos from the 2007 and 2009 world championships are included below. This is really a nice, pure form of model airplane flying. Here is the FAI regulation for all of the F1 category. 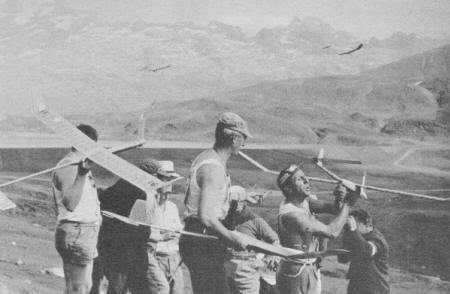 Model sailplanes fill the air and crowd the slopes of many sites in Europe as the sport of flying magnet-steered gliders gains momentum. Most activity at present is in Germany and Switzerland. Impetus was added last year when the FAI, world governing body for aviation, accepted magnet steering competition rules as official. The activity is rare in the U.S. but may get more popular with the official status and also due to an increasing scarcity of free flight flying sites.